Let’s face it. If you are a Christian leader, it can be difficult to connect biblical principles to practical application in the workforce. In an arena where “what is right” gets clouded with “what is best” and both of those can be driven by “what is most financially beneficial to us”, it is important to have clear knowledge of how to PRACTICALLY APPLY biblical principles. I met with Bill last summer to talk about growing the crusade, and during our conversation I learned that he had a book manuscript that he wanted to have published. As he told me more about it, I KNEW that I HAD to help him get the book to market. So our organization published it for him. 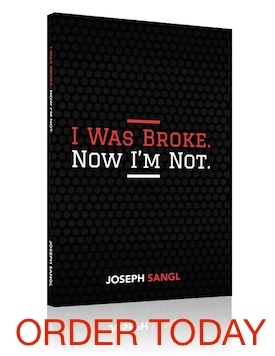 If you are a business leader or you know someone who is, this book is perfect for them. Bill teaches the biblical principle and then provides PRACTICAL APPLICATION tools to ensure that it is able to be placed into practice. With chapters titled “Setting A Vision”, “Quiet Time & Prayer”, “Servant Leadership”, “Communication”, “Leadership Development”, “Setting Expectations”, and “Stewardship” – you can see how this book can help! I recommend this book not just because I published it, but because it has personally helped me in growing IWBNIN! You can check it out, read the intro, and purchase copies for you and your team HERE.